We don’t just repair and fix recreational dive equipment, our commercial IMCA dive technician will repair a simple regulator to a saturation diving chamber. If it’s offshore diving equipment or on-shore diving equipment, our certified IMCA dive tech can help! We don’t want you to miss a dive because you didn’t check your dive equipment and now you have some dive equipment problems or scuba gear issues! Making sure you have a regular service and you keep to the Planned Maintenance Services (PMS) to keep your dive equipment in top quality condition. Dont just ignore if you see small bubbles or you hear strange noises from you scuba equipment. These important pieces of dive equipment are LIFE DEPENDENT, meaning you are putting your life in its ability to perform its duty. Regular inspection and servicing improves the performance and safety of your dive equipment. Failure to maintain your equipment in accordance with the manufacturer’s specifications may also invalidate your dive insurance cover in the case of any incident. Regular servicing of your scuba equipment is very important to ensure safe, reliable performance and to ensure your expensive kit has a long life. 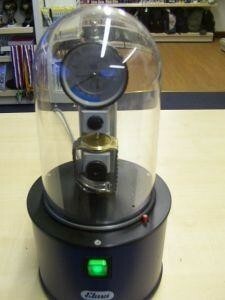 Keeping you regulator in good working order needs a little care (TLC) tender loving care and attention. At our Dive Equipment Servicing Centre your Scuba Diving Regulators should be serviced at regular intervals depending on time and the amount of use. It’s so important to keep your scuba equipment in working order because its life dependent equipment, it can save your life. Remember your life will be depending on its performance underwater, so you don’t want your scuba diving equipment to fail? I will offer you free advice and help you dive with confidence in your scuba diving equipment. Just a simple email or a call is that’s needed to feel trouble free. Let an expert examine your dive gear and take the advice. We offer the greatest range of scuba repair and maintenance services including servicing a wide range of regulators and Buoyancy Compensators. 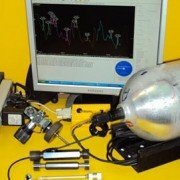 We perform hydrostatic cylinder testing of scuba cylinders in addition to yearly visual inspections, which include the NDT Visual Plus system for detecting cracks in aluminum cylinders/tanks. We offer Oxygen Inspections and Cleaning for use with Enriched Air (Nitrox) Cylinders. Do you ever wonder why you’re scuba equipment servicing takes so long? It could well be sent off to another scuba shop in the area to be serviced, Well not anymore! Dive Equipment Service Centre in Protaras Cyprus. We make Subsea Commercial Diving third party testing in Cyprus with a full spec reports and procedures for your client. Chambers, LARS, Kelly Cylinders and air banks, we can service it all. Easy Divers has been servicing scuba equipment for the last 20 years in Protaras. Give us a call to ask a question, we are here for simple advice to more technical related questions. 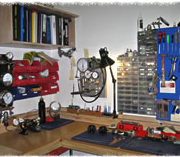 We can offer you a far better service, with our own ‘in house’ professional servicing and repair station. Our certified technician, Joey Ridge will ensure that your dive equipment is properly prepared for your underwater adventures before it leaves our scuba service centre. 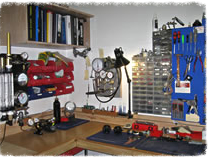 We normally run a same day service and you can even wait while we change your dive computer batteries and pressure and leak test for all dive computers. We will even let you see how we pressure test them with a vacuum and a wet hydrostatic test for your scuba diving computer or dive watch. This will ensure that you will not have any leaks and gives full confidence in our service. Our Master Technician Joey A. Ridge is a commercial offshore subsea dive technician servicing all deep subsea equipment from diving bells, dive compressors even decompression dive chambers. Joey is a Certified IDEST and ASSET (Association of Scuba Service Engineers and Technicians) and Factory Certified for all major dive equipment including Aqualung, Apeks, Cressi, Oceanic (Huish Outdoors), Dive Rite, Mares, Poseidon and Scubapro dive equipment service in cyprus. 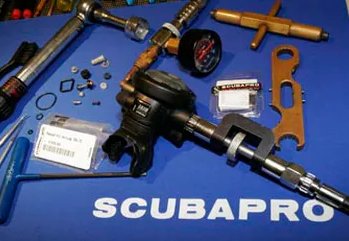 It is recommended that you have your regulator serviced in accordance with the manufacturer’s specifications (usually annually or biannually), every six months if undergoing heavy use like a scuba instructor, or sooner if you have any reason to suspect damage or any other problem with the regulator. Dive Equipment Service Centre Easy Divers Cyprus. Regulator servicing, repair, and oxygen cleaning will be carried out in accordance with manufacturer’s specifications, and applicable British and European Standards. All servicing includes complete dismantling and ultrasonic cleaning, a full inspection and (if necessary) replacement of individual components with genuine manufacturer’s parts only, reassembly and adjustment to manufacturer’s specifications. 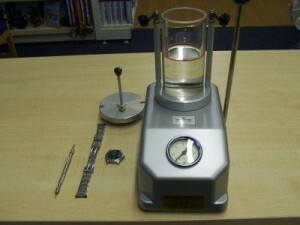 Servicing and repair costs and times differ according to the make and model of regulator. Contact us for further details. Manufacturers recommend that you’re BCD or Wing Style BCD is inspected and serviced at least annually. Servicing is carried out in accordance with manufacturer’s specifications, and applicable British and European Standards. All scuba equipment servicing includes complete dismantling of the BCD inflator mechanism, ultrasonic cleaning of component parts, full inspection and (if necessary) replacement of individual components with genuine manufacturer’s parts, and reassembly. Contact us for further details. Scuba cylinders require a visual inspection every two and a half years, and hydrostatic testing every five years. Oxygen clean cylinders require oxygen cleaning every fifteen months, but we make this a yearly inspection regardless. 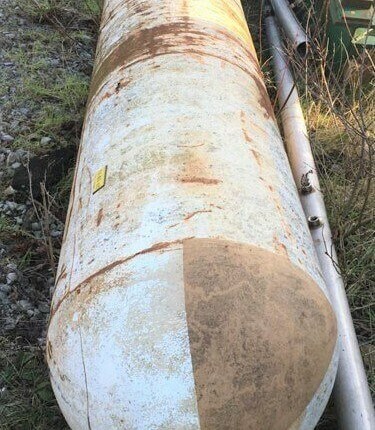 diving cylinders should also be inspected or tested as appropriate if the history of the cylinder is unknown to you, there is any reason to believe that the cylinder may have suffered damage (including fully discharging a cylinder of gas or exposure to excessive heat), or if the cylinder has not been used for more than two years. At Easy Divers Scuba Test Centre can arrange for visual inspection and testing, hydrostatic testing, oxygen cleaning, and pillar valve servicing and repair, all to the applicable British and European Standards by ASSET qualified technicians. Regular dry suit servicing is recommended for recreational divers. Servicing includes leak testing and any necessary puncture repair, servicing of inflators and dump valves, and any necessary dry suit seal replacement. We also conduct dry suit repairs. If you suspect that your battery is getting low or showing a low battery warning, Don’t Ignore this warning. Would you ignore your fuel light warning on your car? So don’t do it when your life and the dive depends on it so desperately. Suunto Certified Technician will replace your battery and save you time money even your life! We will check your battery for free and if it needs replacing, we will do so with the manufacturer’s Genuine Replacement Batteries. We will also vacuum check your dive computer to manufactures recommendation to guarantee that it will be air/water tight seal when we finish. The last step of the service will be to pressure test the dive computer and submerse it in water (Wet Test) and see how it performs under pressure (like taking your dive computer on a dive) totally ensuring it will not leak. Dive With Confidence. Contact Us to have your watch repaired, check out the cost of your dive computer or dive transmitter, you may find us the best service around. We understand that scuba diving is your passion. It’s your business too! 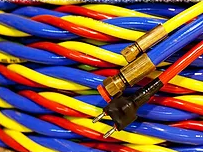 The last thing you should worry about is the safety of the breathing air from your compressor you’re providing to your customers who fill cylinders at your shop and the most important your own divers. 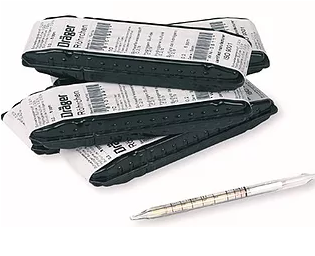 Easy Divers will test your air using FactAir and Draeger Test Tubes an industry standard. The most important part of your business is your compressor and the air it provides you. We will test the air quality that’s what we do best. We will give you your results once we have completed all tests, aroundt 25 minutes. With confidence you can assure your customers that you care about their safety. You can proudly display that your Air Quality meets the required BS4275/EN12021. This should be at least the minimum standard. The Professional Association of Diving Instructors (PADI) requires that all PADI Dive Centres test their compressed air quality quarterly according to CGA Grade E or BS4275/EN12021 air specifications. 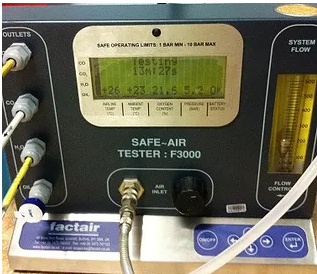 How often must compressor air be tested? BS4275/EN12021 defines minimum compressor testing frequency for commercial operations once every 3 months. BS4275/EN12021 is also the standard and is also require testing at least every three months for their compressors. PADI Dive Centres used to require tests for their air on a quarterly basis, but no longer. 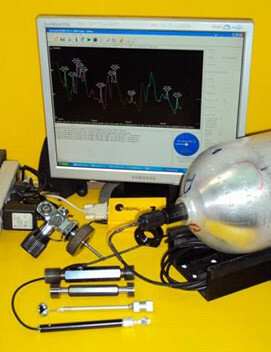 PADI, while requiring CGA grade E air or BS4275/EN12021 from their shops, is leaving the testing frequency up to the shop owners and local governing authorities—ironically in most cases there are no such regulations outside of European requirements for commercial dive operations to make testing mandatory. Are all the dive shops you may come across in Cyprus testing their air? The short answer is an emphatic “NO.” The Cyprus Dive Centre Association (CDCA) Test its Members Breathing Air for Purity Bi-Annually making it safe for the dive centres and their customers. We recommend that you visit their website for a list of all members. Easy Divers Cyprus is a Full Member of IDEST and Approved Member Overseas IDEST test stations. 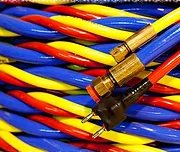 The Inspectorate for Diving Equipment Servicing and Testing (IDEST) was set up in 1985 with the view to providing an independent assessment of Test Centres and Technicians to prove that they are working to the appropriate British Standards. Test Centre stamp, as detailed in the IDEST leaflet ’Testing of Diving Cylinders’. Please check for qualified test centers on the IDEST website. Centres provide a self-declaration confirming that their equipment and procedures have not changed and that all calibration certificates are current. The IDEST Scheme Committee reviews and maintains all procedures, documentation, standards and Inspector training annually, or sooner if required. IDEST works as the technical arm of the Scuba Industries Trade Association (SITA) with the main responsibility of inspecting and assessing Cylinder Test Centres and certifying Cylinder Test Technicians to National (UKAS) standards. We are Proud to bean IDEST Member 8P Easy Divers Cyprus. The only civilian IDEST Scuba Cylinder Testing Centre in Cyprus. IDEST currently enjoys the support of the major Diver training agencies (BSAC, PADI, SSI, and SAA) as well as the Society for Underwater Technology (SUT) and Luxfer Cylinders l Ltd., its efforts have long been acknowledged by the Department for Transport (DfT) and the Health and Safety Executive (HSE). Our Commercial Diving IMCA Certified Dive Technician is also certified to service the following subsea equipment. DDC Planned Maintenance Services as well as repairs. Decompression chamber hydrostatic test procedures, regular service intervals & maintenance schedules to IMCA Standards. Scotch Casting, Umbilical testing, O2 cleaning and Safety valve testing.